Salford is split into five areas for health and care: Ordsall (including Langworthy, Seedley and Weaste), Swinton, Broughton, Irlam (including Eccles and Cadishead), Walkden (including Little Hulton). Our ambition is to create local neighbourhood teams in these areas – bringing services into the community. These teams will consist of a range of health and care professionals who have a variety of different skills and include: GPs, district nurses, social workers, hospital consultants, pharmacists and mental health professionals. They will support people with long term conditions (such as mental health, diabetes and high blood pressure) and try to identify people who are at risk of developing a condition early and offer them support and preventive care. 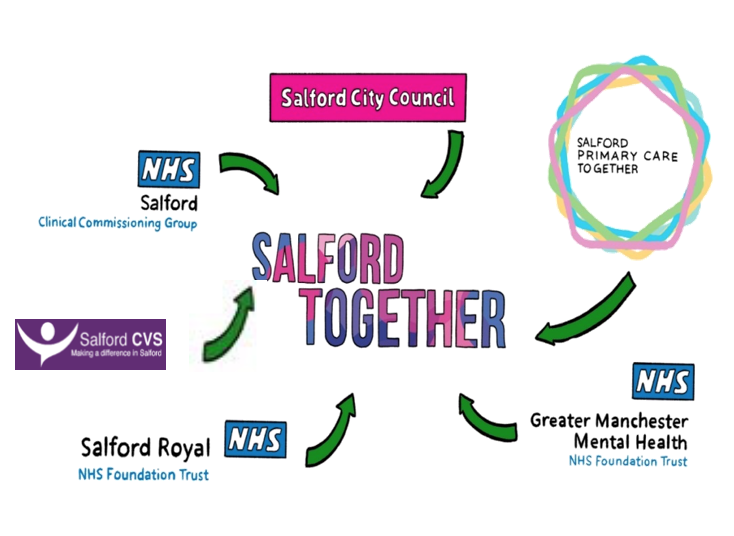 By working more closely together, they will aim to join up care better for the people of Salford – placing the person at the centre of everything we do. 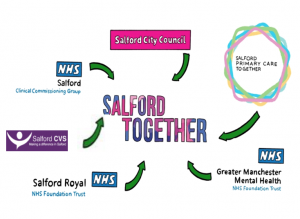 Salford Together is a partnership between six health and care organisations, and the community and voluntary sector in Salford. These organisations are working together to transform health and care in Salford. Part of this work involves developing five health and care teams to plan and deliver services at a neighbourhood level. 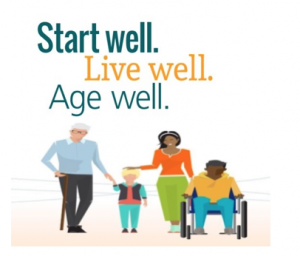 Commit to work together to make sure the people of Salford have the best opportunities to start, live and age well. Ensure all long term health and care plans have the overall aim of reducing health inequalities. 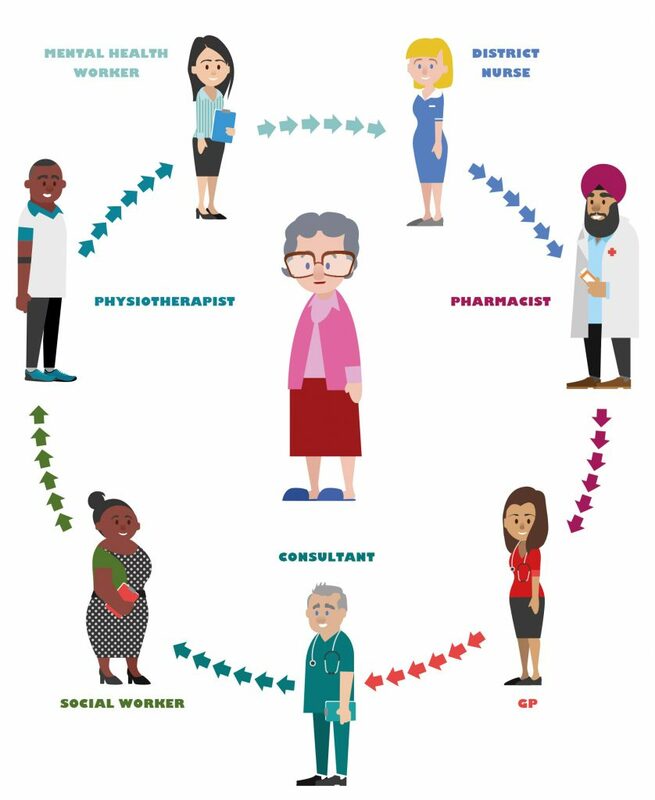 Ensure the population have a say in how their health and care services are designed and delivered. Deliver safe and compassionate person centred care by prioritising the things that matter most to people. Do more to prevent ill health, support and encourage local people to improve their health and wellbeing. Provide the right support to patients so that they are able to self-care and remain independent. Closing the gap for care and quality, health and wellbeing, finance and efficiency. Link to existing structures eg. neighbourhood primary care boards. Work towards a wellbeing, placed approach with wider membership eg. police and housing. Multidisciplinary and agency steering group chaired by Mary Clifton, Interim Director of Adult Social Care, Salford Care Organisation and Dr Paul Bishop, Director of Transformation, Salford Primary Care Together. Scoping workshop on 8th August attended by around 60 colleagues from across health, care, community and voluntary sector. First Integrated Health and Care Leadership Teams meeting 17th October 2018 to begin to identify neighbourhood health and care priorities and plans for improvement.